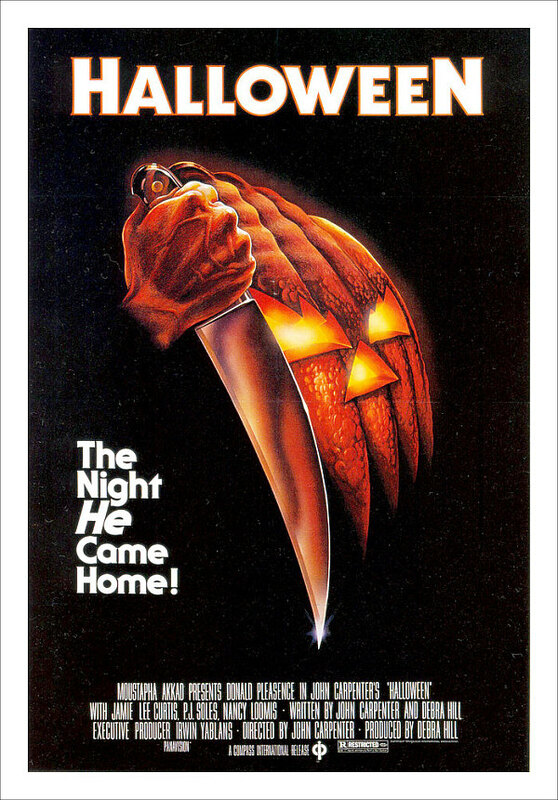 Halloween is a 1978 American independent slasher film. The plot is set in the fictional Midwestern town of Haddonfield, Illinois. On Halloween night in 1963, a six-year-old Michael Myers dressed in a clown costume stabbed his sister to death. After sitting in a mental hospital for 15 years, Myers escapes and returns to Haddonfield to kill again. The font used for the film title on the poster is ITC Serif Gothic Heavy. Designed by Herb Lubalin and Tony DeSpigna in 1972, ITC Serif Gothic is a hybrid serif/gothic typeface distinguished by its uniquely designed serifs, combining gothic simplicity with traditional roman elegance. The font family is available in six weights, light, roman, bold, extra bold, heavy and black. In addition to Halloween (1978 film), ITC Serif Gothic typeface is also used in the following logos, movie posters or album covers etc., including: The Last Jedi, The Boat That Rocked, The Force Awakens, Beautiful Lies (Birdy), Stories Untold, Cooties, Here Comes the Devil.